I don’t think it’s by chance that I was assigned to room number 221 at the Hilton Resort in Barbados. I had been waiting for three long years to go on a much needed vacation, however, trouble was not a part of the plan. I was looking forward to a little peace and quiet, and release from the day-to-day stress of ministry, but church-life has a way of keeping you as a willing hostage. I had to force myself to leave everything behind. I got on the plane with a heavy heart and a part of me didn’t want to go, but afterwards, I didn’t want to return. Others in line chimed in with me to make their voices heard. In our view the customs security inspection process was not fare and orderly. People were cutting in and out of lines, pushing and shoving, and making some people irritable and angry—including me. By the time I reached the front of the line to have my bags inspected the agent asked me what was in my luggage and I angrily said clothes. She waved me through without asking me to open my bags. I guess she didn’t want to deal with an irate visitor from America or maybe she was being kind by not sending me to jail. The thought frightened me a little. I really could have gone to jail that day. I was hot and tired, and acting like a crazy American. After finally passing through customs I then hired a taxi to drive me to my hotel in St. Michaels. It cost me $23.00 ($44.00 BDS=Barbadian dollars). The drive took approximately thirty minutes and it was extremely hot and humid. The car didn’t have air conditioning; however the driver and I had a friendly conversation, which made the time go by quickly and the heat a little less intense. I am grateful to have arrived safely to my hotel. At this point all I wanted was a room, bed, and a shower. The hotel receptionist was very nice and friendly. She outlined all the amenities and activities available to me during my stay. I was invited to participate in some of the planned events scheduled for hotel guests during the week. It all sounded wonderful, and would have been if my mind wasn’t focused on the care and feeding of the sheep at home. But I was reminded by my faithful and trusted administrative assistant that I had placed the church in the care and hands of trusted and faithful men and women of God. Before I went to my room the hotel receptionist also wanted to alert me that some of rooms were being renovated and work was in progress. Rooms were being remodeled to make ready for the holiday seasons. She told me that if the noise became too unbearable to let someone at the front desk know and they would move me to the other side of the hotel where there was no construction taking place. It would be less noisy; however I wouldn’t have an ocean view. How could I come to Barbados and not have an ocean view, I thought. 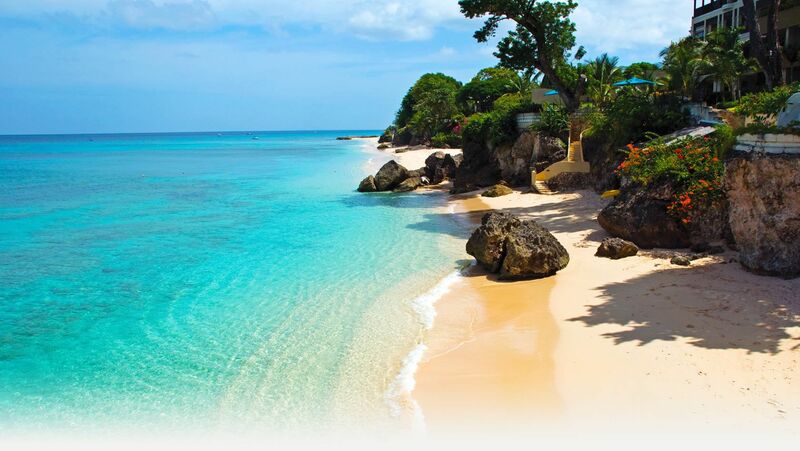 That was one of my reasons for coming was to be near the water and Barbados’ beautiful pristine beaches. I assured her that I would be alright. 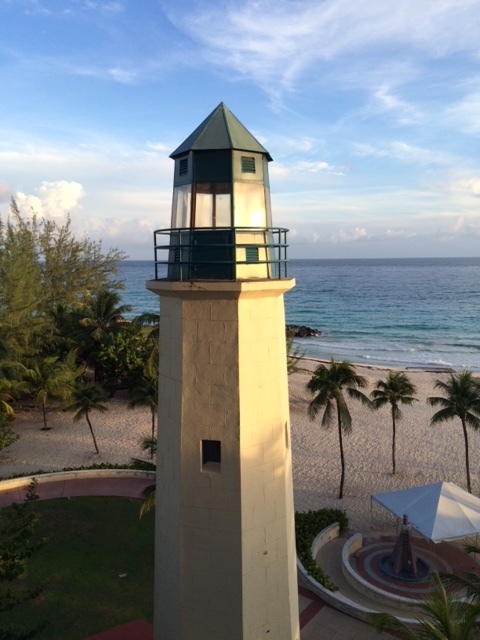 When I walked into the room I was immediately drawn to the view of a large lighthouse standing outside my window. The scenery was picturesque and breathtaking. Nevertheless, at one point during my stay I started to request the hotel change my room because the noise was so loud I thought I was near a major construction site. But then I felt the sense of a call to that room and I decided to stay despite the noise. Yes, I honestly believe God wanted me here. This would be my cave experience. In 1 Samuel 30, the prophet Samuel had already anointed David king over Israel. He was declared to be a man after God’s own heart, chosen and set apart to lead God’s people. After a short time of acceptance in Saul’s court and a glorious ministry of victory upon victory, David was forced to escape for his life. The giant killer ended up hiding in a cave, wondering what he had done to endure such rejection and difficulty. Tearfully David had inquired of Jonathan, “What have I done? What is mine iniquity? And what is my sin … that my life is threatened?” (1 Samuel 20:1). I felt there was something in my own life God was trying to show and teach me. So I endured the sounds of hammering, drilling, sawing, tapping, scrapping, and other construction noises. Thursday I woke up and couldn’t remember where I was. It was like a piece of my memory was loss. I had to look at my iPhone at dates and times—and lastly Needham’s Point lighthouse. It was all coming back to me. It was then that I heard the voice of God speaking and revealing to me concerning what He was about to teach me. Here is what the Lord said to me: “You may have had a shipwreck, but I will save you on broken pieces.” I opened my Bible immediately to Acts 27:38-44 to study my lesson. God saves us to help save someone else. We’re not in the ship alone. The purposes of God would be revealed in His time to all who faithfully remained in the ship. God has a destine purpose and plan for the people of God. Paul had already warned the Centurion and the soldiers that “unless these men stay in the ship, you cannot be saved” (v. 31). I asked God and myself why I had gone through so many test and trials in my life. How did I get here? Why now? How did I lose sight of my direction particularly since the Light shines so brightly? The fog can be thick at times and may play tricks on one’s senses and visibility. If one does not discern rightly, he or she may see things in his or her life that are not there. Regardless, one must keep their eyes on the light and learn to navigate through the fog if they want to make it safely to shore. “If any of you lacks wisdom, let him ask of God, who gives to all liberally and without reproach, and it will be given to him” (1:5). But just above these verses James tells us that we are in need of patience. “My brethren,” he says, “count it all joy when you fall into various trials, knowing that the testing of your faith produces patience. But let patience have its perfect work, that you may be perfect and complete, lacking nothing” (1:2-4). Learning patience in the midst of testing and trials is not an easy task; however, the reward is great! All kinds of experiences will come to us. There will be the test of the sorrows and the disappointments, which seek to take our faith away. There will be the test of the seductions, which seek to lure us from the right way. There will be the tests of the dangers, the sacrifices, and the unpopularity, which the Christian way must so often involve. But they are not meant to make us fall; they are meant to make us soar. They are not meant to defeat us; they are meant to be defeated. They are not meant to make us weaker; they are meant to make us stronger. Therefore we should not bemoan them; we should rejoice in them. The Christian is like the athlete. The heavier the course of training he undergoes, the more he is glad, because he knows that it is fitting him all the better for victorious effort. Several years ago I was reminded of a friend and fellow-cleric that had gone through a crisis of personal failure and how painful it was for him and his family. I had prayed and counseled with him night and day for God’s forgiveness and restoration. (I learned through his experience that there is no hurt like church hurt.) Many of those he trusted and confided in broke that trust; and although he repented openly and sought the Lord in tears he never felt forgiven and he never returned to ministry or church again. One day I saw him at a business I frequent and asked him how he was doing. He told me how after a long absence he tried to return to church. One Sunday while sitting in the back of the sanctuary and attending a service where someone he thought was a friend and pastor, he sat through a painful sermon. He said, “Stephen, I never thought I would one day be the subject and topic of someone’s sermon.” The minister had blasted his entire life publicly over the pulpit. He felt embarrassed and ashamed and vowed never to come back—and to my knowledge he hasn’t returned. Although the pastor didn’t know he was there in the service, I still can’t blame him for not wanting to come back. Unfortunately, the church is not always a place of healing. As for me, I pray daily for the Holy Spirit to guide me safely through the harbors of life, and through every trial and test—over rocks and rough places. At the end of the journey I want to see Jesus in peace.